With his second feature, a towering epic that took him years to complete, Andrei Tarkovsky waded deep into the past and emerged with a visionary masterwork. Threading together several self-contained episodes, the filmmaker traces the renowned icon painter Andrei Rublev through the harsh realities of fifteenth-century Russian life, vividly conjuring the dark and otherworldly atmosphere of the age: a primitive hot-air balloon takes to the sky, snow falls inside an unfinished church, naked pagans celebrate the midsummer solstice, a young man oversees the casting of a gigantic bell. 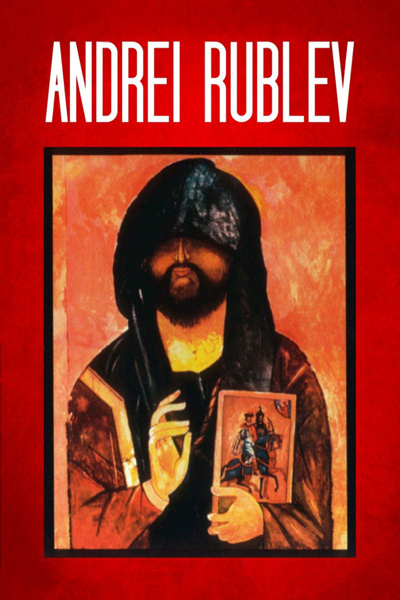 Appearing here in Tarkovsky’s preferred 183-minute cut, as well as the version that was originally censored by Soviet authorities, Andrei Rublev is an arresting meditation on art, faith, and endurance, and a powerful reflection on expressive constraints in the director’s own time.